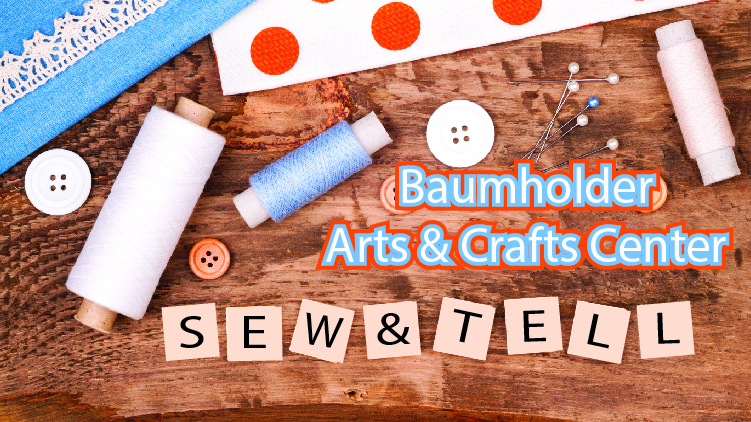 Date: Sep 14 2018, 11 a.m. - 1 p.m.
For a limited time, Baumholder Arts & Crafts Center is offering sewing classes! This is a unique opportunity to learn sewing techniques that can save you money and make your home more sustainable! Our inspiring instructor, Lisa, will teach you to create fantastic eco-friendly household items that can be re-used time and time again and made with your favorite fabric and personal touch. July 13th, 11 a.m. -1 p.m.
July 14th, 1 - 3 p.m.
August 18th, 1 - 3 p.m.
Aug 31st, 11 a.m. -1 p.m.
Sept 14th, 11 a.m. -1 p.m.
Sept 15th, 1 - 3 p.m.
Oct 12th, 11 a.m. -1 p.m.
Oct 13th, 1 - 3 p.m.
Nov 2nd, 11 a.m. -1 p.m.
Nov 3rd, 1 - 3 p.m.
Dec 7th, 11 a.m. -1 p.m.
Dec 8th, 1 - 3 p.m. These are adult-only classes and must be signed up for in advance through the Arts and Crafts Center.